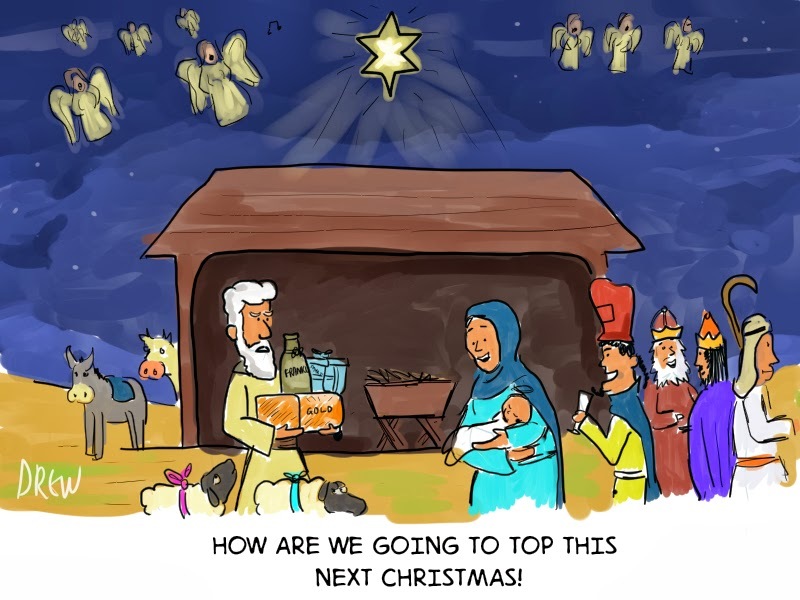 Cartoons I Drew: Advent 5: How Are We Going To Top This? The problem with buying your child that iPad Mini they've been bugging you about is they're going to expect you to do even better next year. I wonder if Mary and Joseph had the same issue.